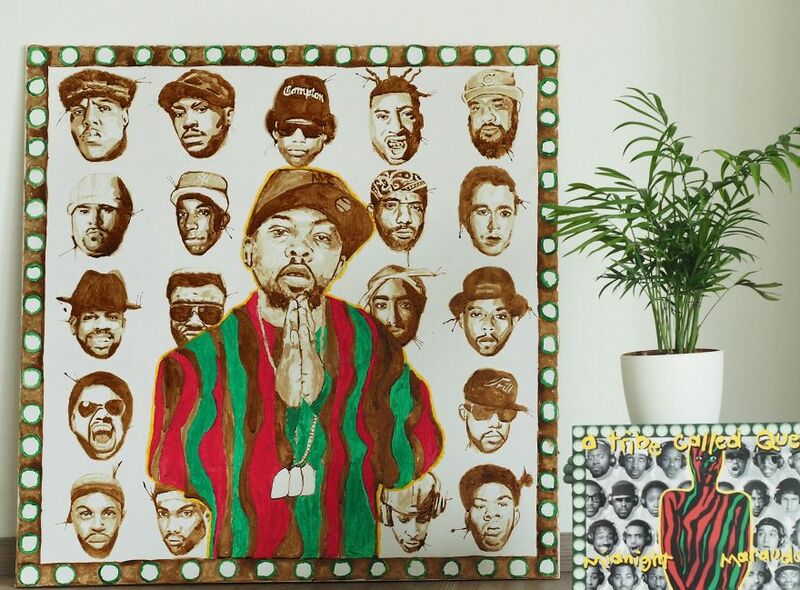 “Paradise Marauders” – a tribute to legendary deceased Hip Hop artists painted with coffee, inspired by the A Tribe Called Quest – Midnight Marauders cover. 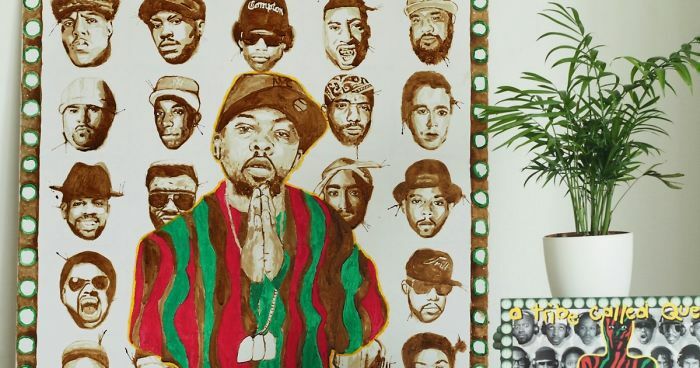 Ever since the tragic news of Phife Dawg passing away almost exactly two years ago, the idea formed, but was always postponed since it was a huuuge project which intimidated me, but also challenged me at the same time. It took me quite some time to finish it, but I was so thrilled to do it that I wanted to paint in every awaken moment. 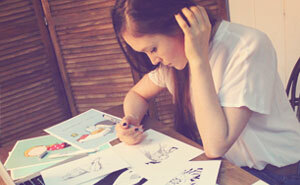 I got up early before work to sneak in some quick painting session and painted late into the evening while listening to the music of the artists… It was so fun to do it! 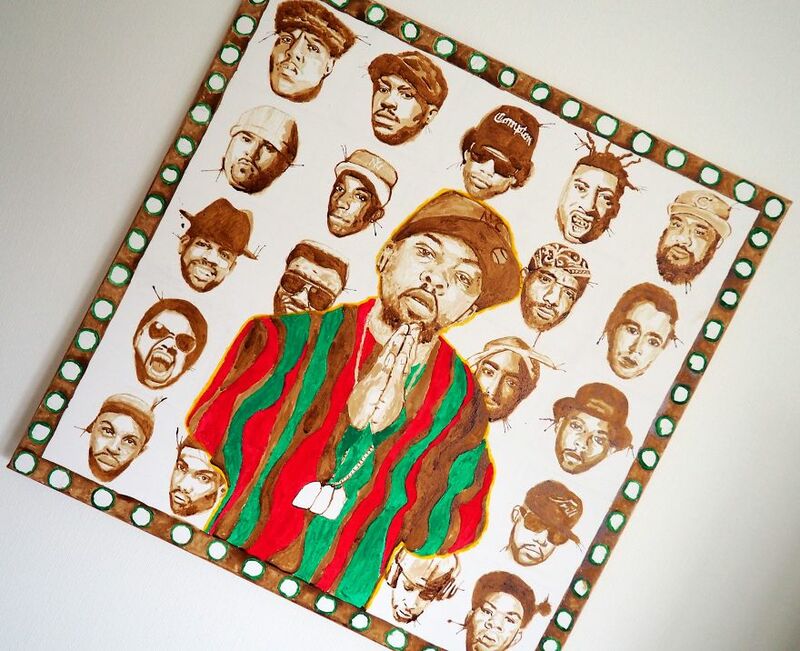 Hip Hop has been my first love and will always have a special place in my heart, so I wanted to honor all the influential greats which have been taken from this earth way too soon. Rest in power. 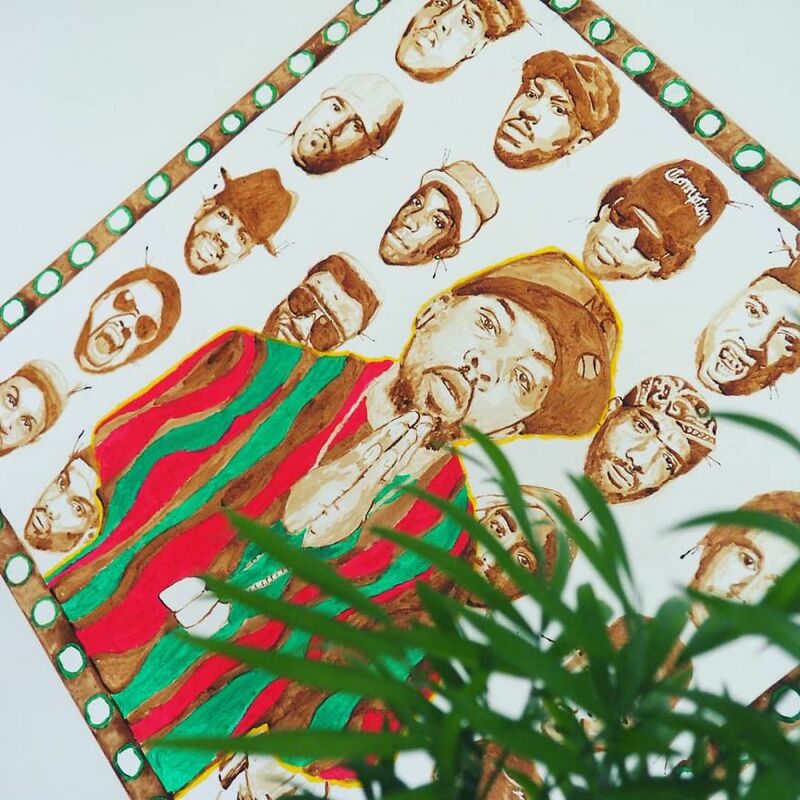 The idea was sparked when Phife Dawg of ATCQ passed away 2 years ago. 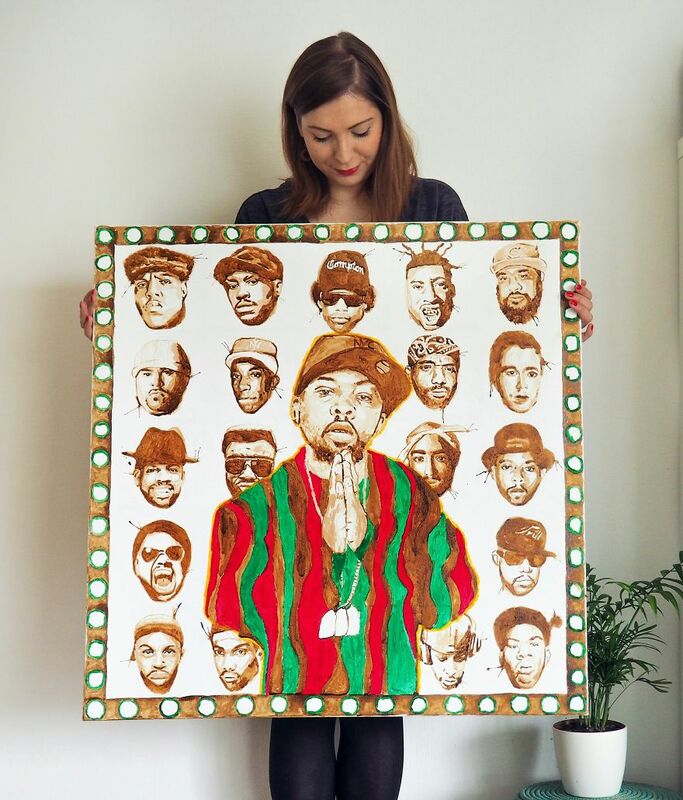 … I’ve painted a tribute to legendary deceased rappers. …which sadly have gone too soon. It was a huge project and took me quite some time to finish it, but I was so thrilled that wanted to paint in every awaken moment.